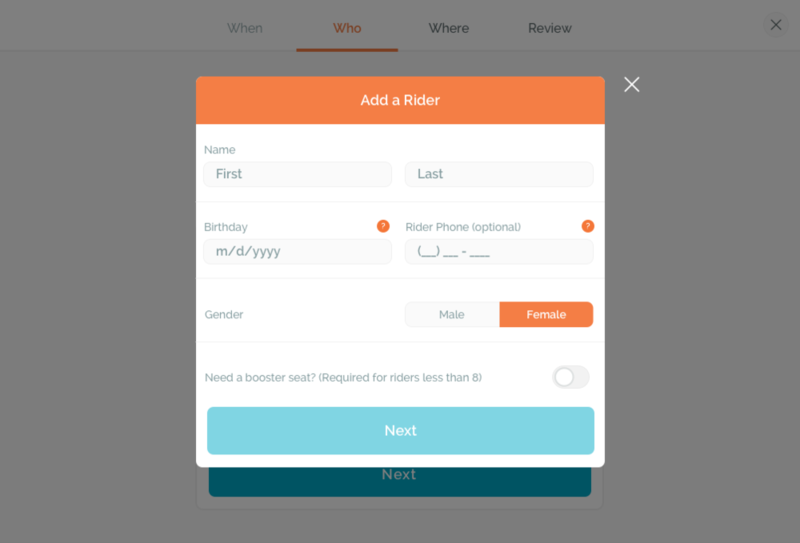 You can add a new rider one of two ways: you can click on the menu in the top right corner of the screen and click on the "Riders" section or you can add a rider when scheduling a ride. From the menu click "Add New Rider"
Or while scheduling you can add a rider on the “Who” step, by clicking “Add Rider”. You’re now able to enter your rider’s information. Let us know the birthdate and gender of your child, so they are more easily located by the CareDriver. Please keep in mind that your child must be at least 6 years old to use HopSkipDrive. HopSkipDrive riders are not required to have a cell phone of their own, but if they do have one we recommend entering it in the app. This will allow the CareDriver to call or text the rider through the app. The phone number is always masked, so no personal information will be exchanged. 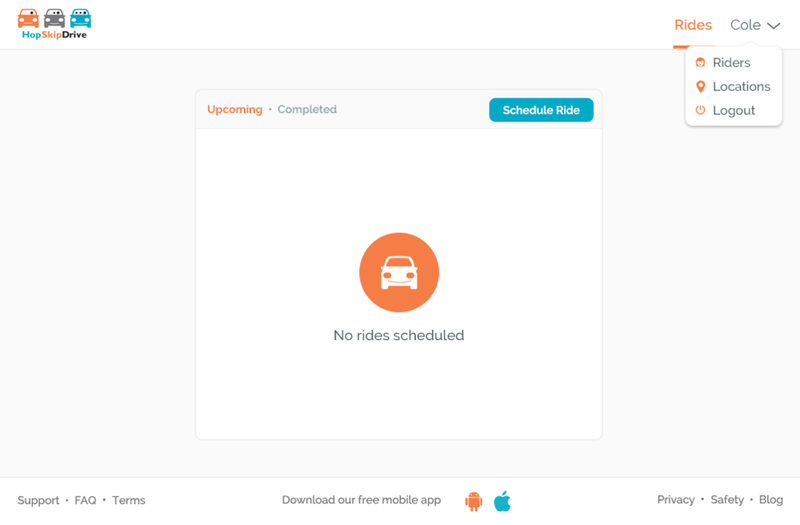 Your rider will also receive automated updates about the status of their ride. All of our CareDrivers receive brand new booster seats from us. You can let us know if you would your child to sit in a booster seat. All riders under age 8 are required to ride in a booster seat. Next you’ll be asked to create a secret code word for your rider. This is a word or phrase that you and your child determine, and that your child will be able to remember. When the CareDriver arrives, they will give the secret code word to the child so the child knows they are with the right person. Please enter emergency contacts for your rider. This should be someone we can contact if there is ever an issue and we can't reach you.